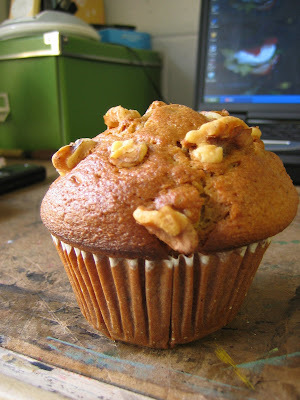 This muffin is still sitting in my room, so I don't know if this counts, but I might eat it eventually since the Met is closed for the next few days and I only have a cup of cereal and pirate's booty in my room. This is also the only picture I have of food that I've eaten. Sorry if I'm letting down my blog fans. Dylan took pictures though. Maybe he will make a food blog sometime.